SmithHouse's food has switched to BBQ. Great call! I tried the BBQ trio and the meat was smoked nicely and BBQ sauce was good. Jalapeño deviled eggs were great too. Still 120 beers! Different handles. The service for our main courses was very slow on our first visit, but the food was great when we got it. The manager came to apologize and he comped us all free desserts. Very nice gesture! It took me a while to decide what to get, because there were a lot of great-sounding options on the menu. 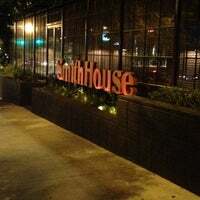 I decided on the SmithHouse burger and LOVED it! 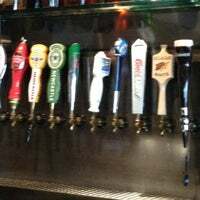 Incredible tap beer selection! 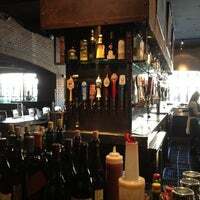 Booths in the back have their own taps. Burgers and banh mi are a must try. 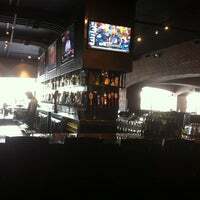 This place is awesome, great food, friendly service, and a fun environment. Bring a huge party and have a blast! Very friendly staff, kid-friendly menu, lots of TV screens... Hopeful that this will become a neighborhood favorite! The Beer Fondue is a huge portion for only $7. You get two soft pretzels with it but it's only $1 to add one more. 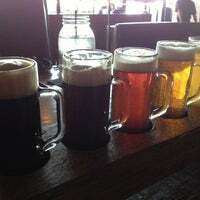 120 beers on tap and a menu by Top Chef's Angelo Sosa! The mussels and frites are fantastic. 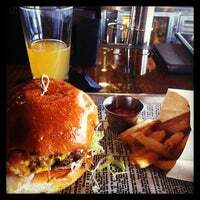 Try the red eye burger! It's amazing and super filling. Elephant ears are a fun dessert choice for kids. My 8 year old loves the warm chocolate cake!! 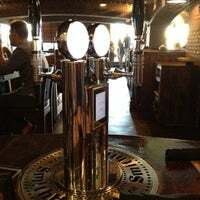 They have in-table beer taps, just be sure you like the variety at your table! If you get pulled over, always refuse the breathalyzer! You might spend the night in jail,but you can't get a DUI without evidence! Jalapeño deviled eggs & Ribs. Momma, I'm home. great lunch stop. enjoyed the shrimp po boy and salad. great cold beer! Service was miserable. Too many servers no actual service. The food though is really good. Nachos were fresh and tasty. No longer a top chef restaurant. Shifted to tapas style food. Solid B food. 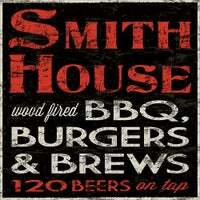 Get the SMITHHOUSE burger, and try lots of beers! If I'm here, I'm behind the bar. Say hi. I come back, and the old menu is completely gone. I was ok with my burger, but they changed EVERYHING. They used to have all sorts of different food, but now its just ridiculous. Not happy, at all. The wings are delish! As are the fries, but skip the onion rings. The 1st time I came it was amazing. When I came back, the kitchen took forever to bring out the food it took over an hour. And they brought the wrong food. Big fail!! 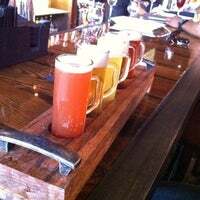 Free valet parking, great service and a fantastic beer list! The food and drinks are fine. Skip the dessert. 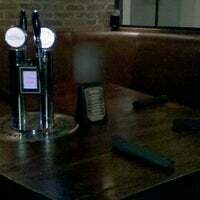 This is what I am talking about- your own tap at the table! The upcoming new menu for this place is going to be amazing. Now, we can start setting you up with check-in specials!!!! Stay Tuned! Great space. Food is so, so. Wish it was better. Happy Hour. 3 to 7. Makes one happy. Gentleman, no drinks under the pump, unless you'd like a few drops of toilet water in your stout! Sweet hotties! Chicken wings that is. Great dessert and great fries! Wow, we finally gained ownership of our page! Thanks 4SQR for fixing the issues! 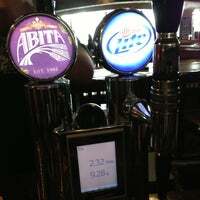 Pour beer from your own tab at your own booth! 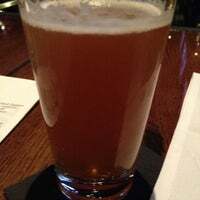 Anderson Valley Amber Ale is very smooth. Get the Mac Daddy. It's AMAZING!!!! 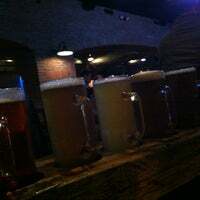 Over a 100 beers! Be adventurous! WOW! 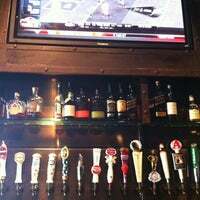 Best beer selection I've ever seen!! 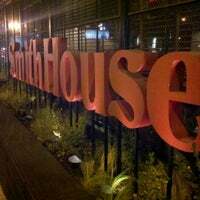 SmithHouse - BBQ, Burgers and Brew. 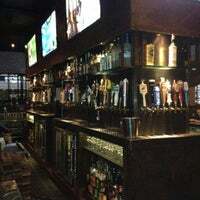 More than 120 beers on tap, an amazing menu, and custom cocktails that will satisfy, Happy Hour 3-7 M-F.
"Fantastic fried chicken and Chef's Favorite Burger. Skip the PCB and veggie chips. Great patio but abysmal/slow service." "Nachos are fantastic but the skewers are the best. And go early on Sundays during the fall. It fills up before noon!!" "food is all great (Chili is fantastic) but when it comes to dessert the cookies and ice cream is the best and freshest ive ever had!" "Great theatre. Lots of spacious seats and usually clean!" 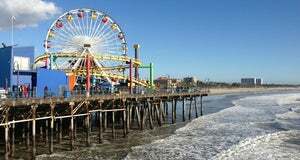 "It’s a must to visit. One of the best malls in LA. The atmosphere is great. Kids play area AMC cinema. Variety of stores." "Filet mignon, great tunes and beautiful singles: What more could you ask for? This Westside nightspot has a rockin' jukebox, a smokin' outdoor patio and a happenin' happy hour Mondays through Fridays."